The fourth and final guided missile destroyer that will serve as part of the forward deployed U.S. ballistic missile defense (BMD) network in Europe has left Naval Station Mayport, Fla., the Navy announced on Tuesday. USS Carney (DDG-64) left Mayport on Sunday bound for Rota and will join three destroyers — USS Donald Cook (DDG-75), USS Ross (DDG-71) and USS Porter (DDG-78) — which are part of the European Phased Adaptive Approach (EPAA) to BMD. In addition to the BMD mission, the destroyers have conducted presence patrols in the Mediterranean and the Black Sea. 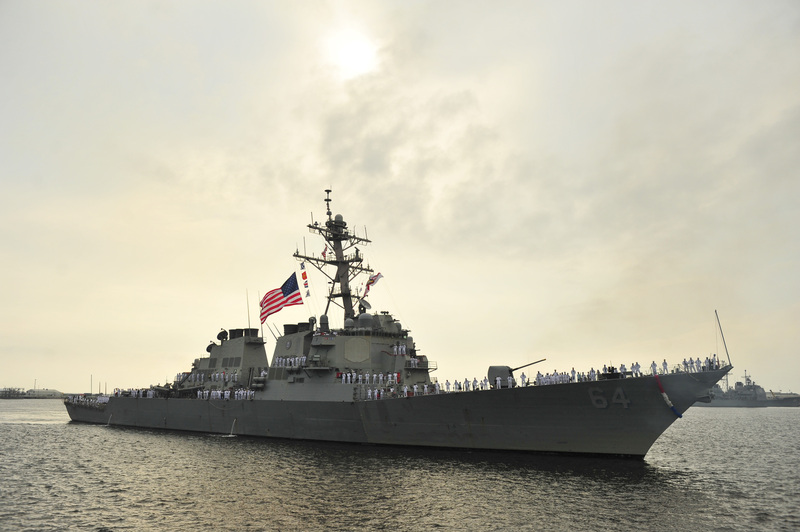 “USS Carney and her crew will play a crucial role in the U.S. contribution to NATO’s ballistic missile defense efforts,” said Vice Adm. James Foggo III, commander, U.S. 6th Fleet in a Navy statement. In particular, the U.S. has stepped up patrols in the Black Sea since the March 2014 forced annexation of the Crimean region of Ukraine by Russia. Donald Cook is currently in the Black Sea as part of the current U.S.-Ukraine Sea Breeze 2015 joint exercise.